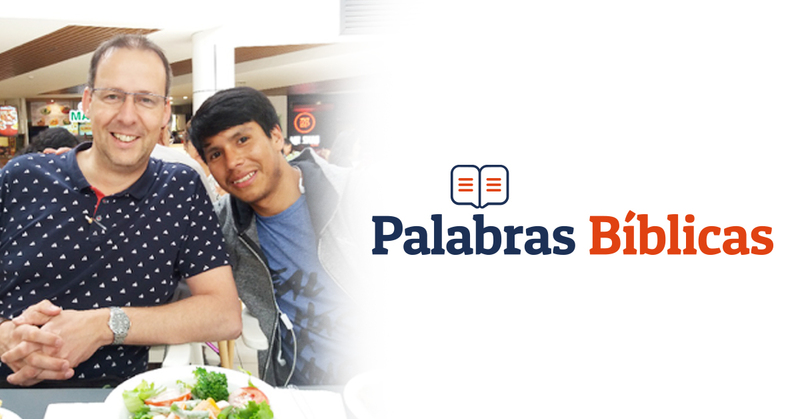 After years of work we have reached a milestone: 500.000 likes on our Spanish Facebook page Palabras Bíblicas. Arjan Vaders leads the Spanish language team at GlobalRize. He has lived in Peru with his family for over 6 years, working as a missionary. In 2012 they moved back to The Netherlands. In volunteering at GlobalRize he found a way to proceed his passion for sharing the Gospel in the Spanish speaking world. He started on his own, with a Facebook page where he simply posted 2 or 3 bible verses every day. The page grew to 150.000 followers. After a year it became clear that Facebook encourages pictures. The algorithms of Facebook could be used to get the Gospel to as many people as possible. The bible verses were from now on placed on pictures. Sometimes simply on a picture of a whistling bird, or of a blossoming branch. Facebook evolved and GlobalRize evolved along. A team of graphic designers was formed and the pictures were designed and picked with more and more care. The Spanish Facebook page grew steadily. Since 2017 Arjan posts at least 4 times a day. That was the year he met Sait Huaman. This young man from Peru lives in a small town in the Andes. With internet access only by smartphone, the messages are very effectively posted by Sait. Especially clips from the Life of Jesus film turn out to be very popular in Latin America. The number of visitors highly increased since then and in september 2018 the page has reached half a million likes. Behind every profile, behind every like on Facebook, is a human, loved and sought by God. His heart reaches out to them all. This is the motivation for Arjan and Sait to keep doing this work. It is the same motivation that all our workers and volunteers at GlobalRize have. 5000 Spanish Instagram followers are updated with 2 posts every day. 200 Articles where questions about faith, the bible and God are answered, are available on our Spanish webpage. 1200 People receive a daily inspiration on the mail. 3 Bible courses have been developed in Spanish. 7000 People have signed up to do a bible course and over 400 of them have finished a course in the last 18 months. Dozens of people have been referred to a local church.